Asus ROG's Avalon concept PC makes a compelling case for rethinking the basic bones of computer design. At Computex 2016, Asus ROG showed off its Avalon concept PC, a computer that tightly integrates all aspects of the PC for a redefined design, but still supports the platform’s DIY strengths. The end result is a creation largely devoid of wires and something that looks more like a premium stereo system than a traditional computer. Oh, and “Unlike the purely aspirational concepts often see in the tech industry, this prototype is a working system built on existing technologies that are viable to put into mass production,” Asus says. Shots fired, Project Christine. 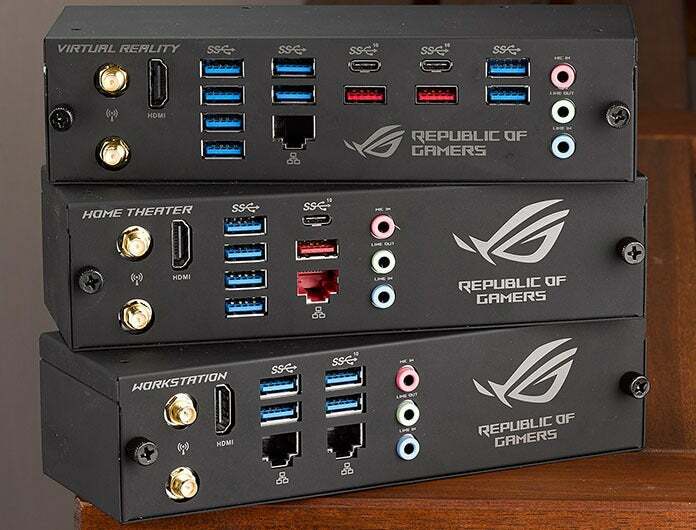 One major advantage to that is port flexibility, Asus says. Avalon’s motherboard extends right to the front of the case, so various ports and indicators can be built right into the motherboard and appear on the PC’s face, rather than needing to be connected to the front panel with extenders and extra cables. Swappable rear I/O panels for the Asus Avalon concept PC. Meanwhile, the rear I/O panels are modular components of their own inside Avalon. In other words, you can swap them out to create a Frankenstein that meets your individual needs, rather than being limited to a selection of ports hardwired into your motherboard, as is the case with traditional PCs. “VR rigs require additional USB ports to connect headsets and controllers, workstations often need faster networking and redundant ports, and home-theater PCs can benefit from upgraded audio,” says Asus. 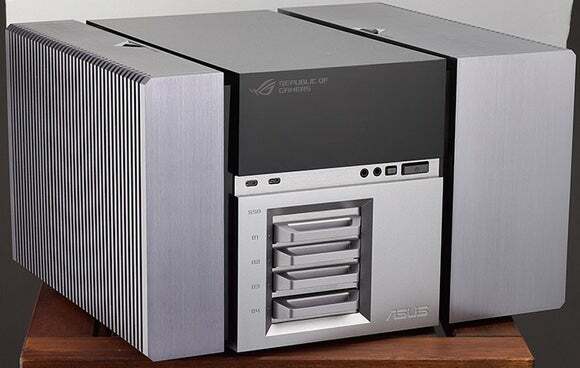 The custom 600W power supply Asus created for the Avalon concept PC features an edge connector rather than cabling. Those rear I/O panels connect to the Avalon’s motherboard using a PCI-E-based “edge connector.” Asus relies on edge connectors throughout to make the Avalon as wire-free and hassle-free as possible; the company even created a 600-watt small form factor power supply for the concept that relies on that simple PCI-E connection rather than the traditional rat’s nest of power cables. 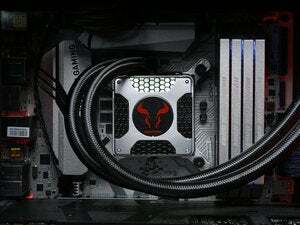 All power to secondary hardware flows through the motherboard itself. The bays you see on the front of the Avalon concept PC house hot-swappable storage, which makes switching out SSDs as simple as switching out floppy disks. The storage capabilities reside on a daughter card that connects directly to the motherboard inside. The Avalon motherboard with various daughter cards connected at the bottom. Funky! 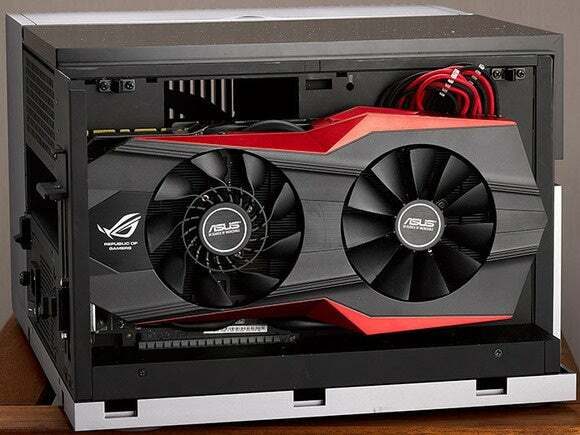 High-powered graphics cards are the one component that still requires additional power cabling inside Avalon, though Asus says it’s possible to rework graphic card design to function with edge connectors, instead. 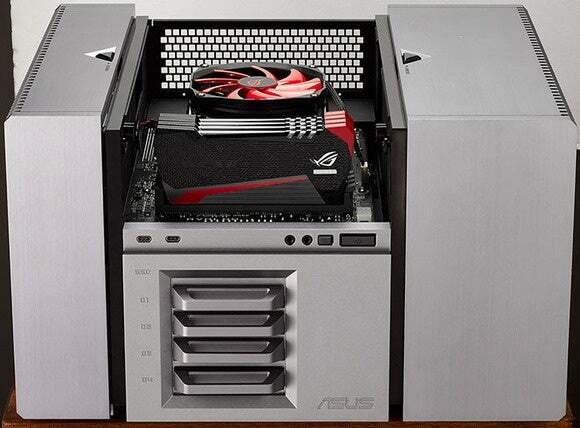 GPUs reside in their own compartment at Avalon’s outer edge, blowing hot air out through the ventilated edge of the PC. The motherboard features an integrated backplate with threaded holes so that you can connect aftermarket CPU cooling solutions directly to it. Asus hopes that the voltage regulator modules on the motherboard’s underbelly can be connected to the chassis to have the case itself act as a heatsink for the system. 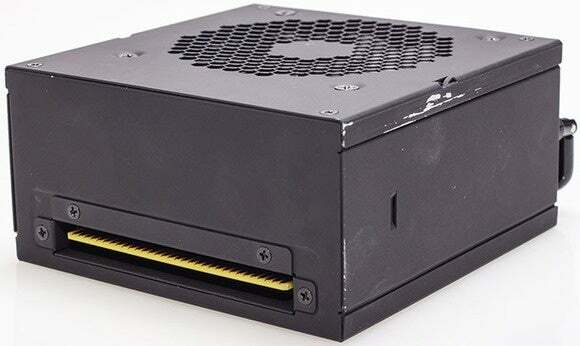 That’s a trick that some small form factor and silent PC cases already perform—and one that plays neatly into the Avalon’s integration concept. As a concept PC, there’s no pricing or release date information tied to Avalon, though Asus says it’s “right on the edge of what’s possible.” The prototype certainly seems like a compelling idea, at least in theory, and still manages to embrace DIY potential despite its tighter overall system integration. 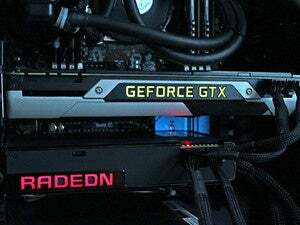 That said, part of the reason that PCs have stuck to traditional designs for so long is because the usual case-motherboard-power supply-add-in card design works so well, and it resists hardware lock-in. 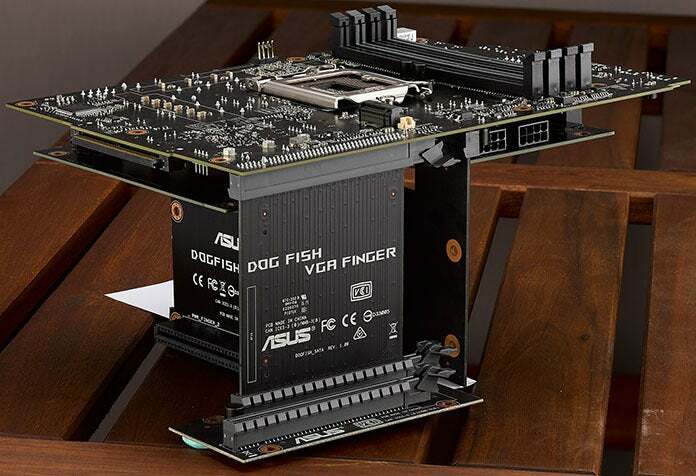 Tying motherboard design so tightly to the case plays well to Asus’ jack-of-all-trades strengths, for example, but it might leave more specialized hardware vendors like EVGA out in the cold. What do you think? Asus wants to know. Now that it’s revealed Avalon to the world, the company’s looking for feedback from the industry and PC enthusiasts.